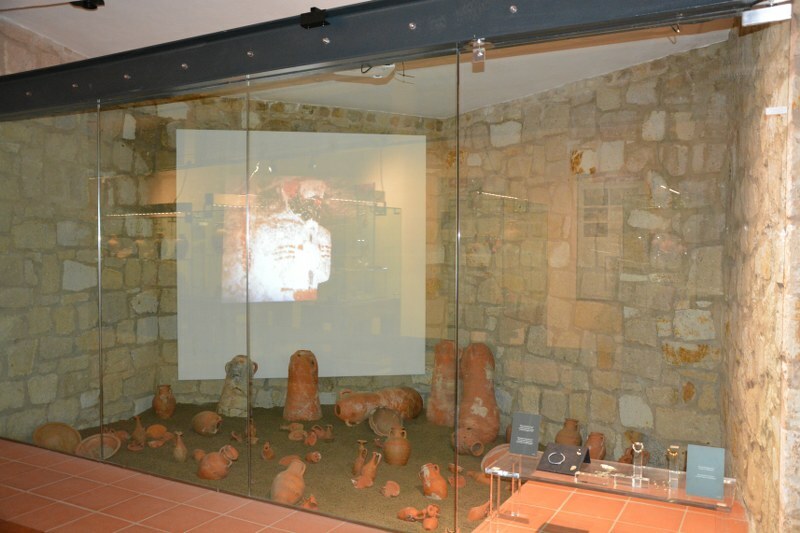 The second room is dedicated to funerary contexts, an only window shows the limited evidences related to the Phoenician necropolis, the location of which today can only be supposed on the basis of smattering clues available. 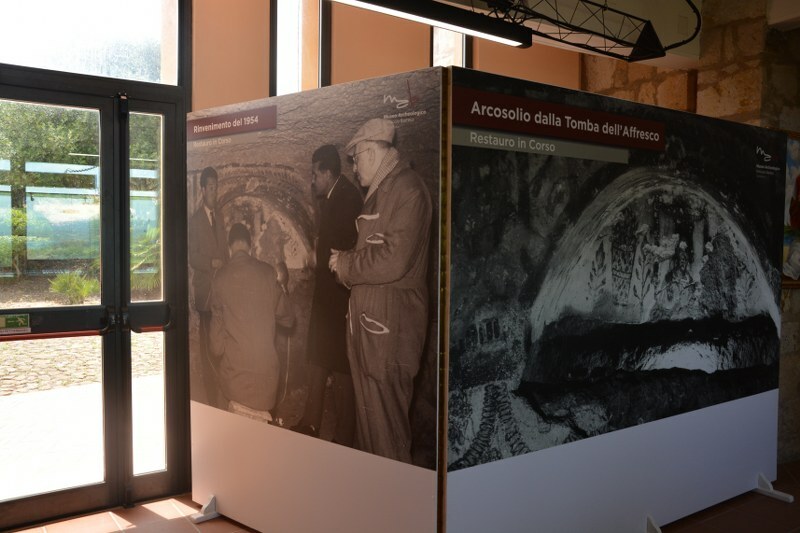 Diametrically opposite is the situation related to the necropolis of the Punic era, deeply investigated since the sixties, which had returned an extraordinary number of exhibits. 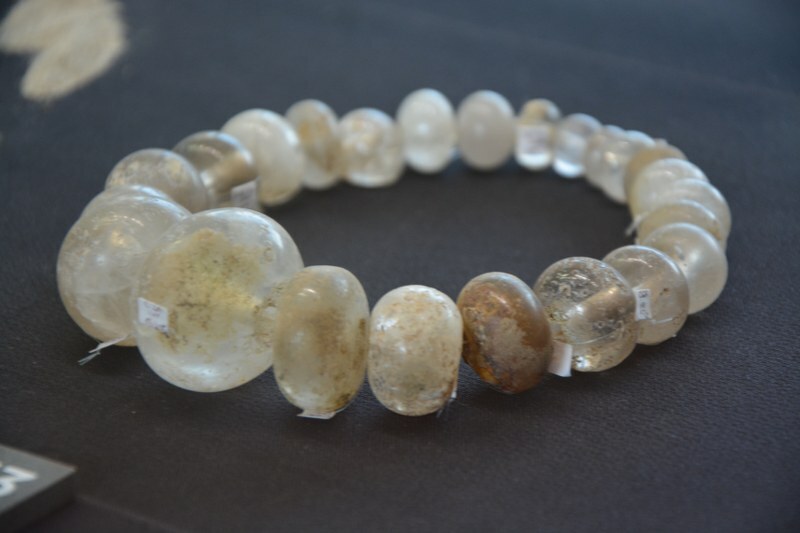 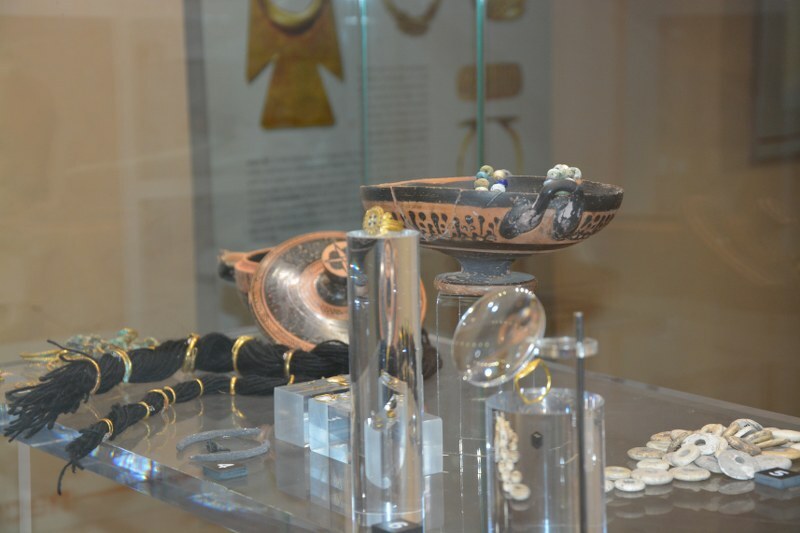 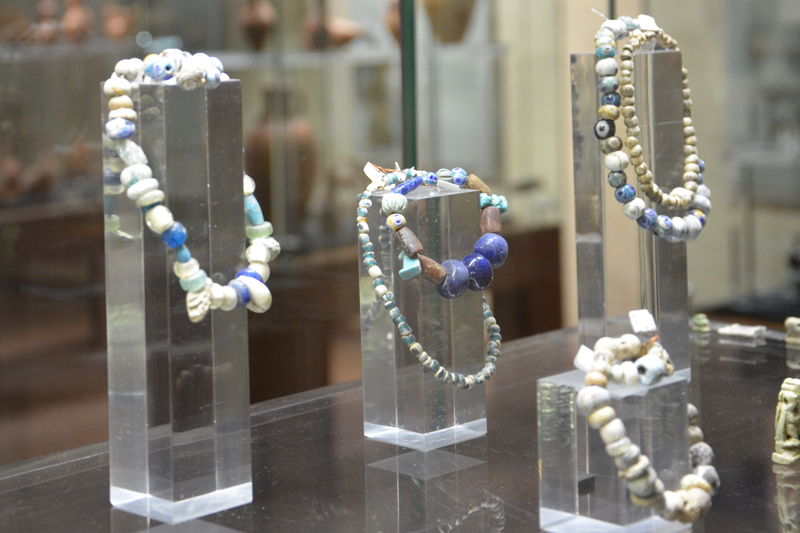 Among the exhibits there are domestic amphorae, ritual jugs, small ladles, zoomorphic ‘askoi’, cups, plates, glass necklaces, scarabs, amulets, amber and magnificent models of gold jewellery. 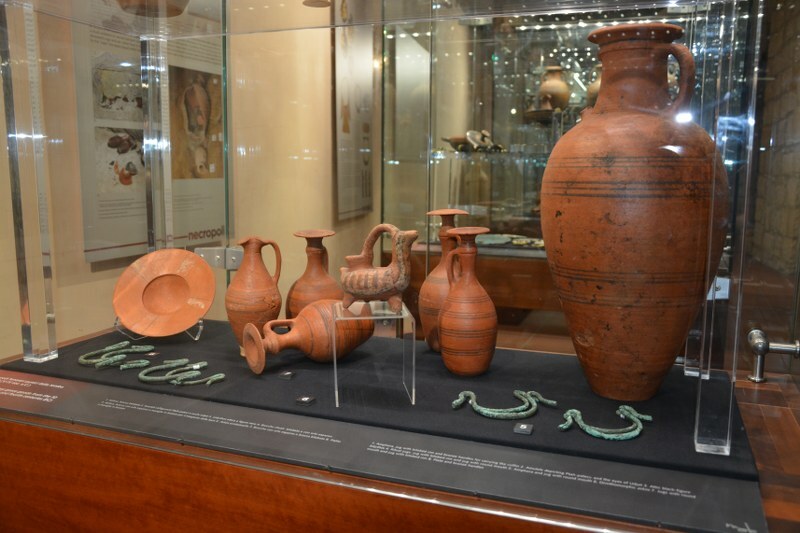 The grave equipment, mainly made of ceramic pots, has a symbolic connotation in its composition and distribution within the funerary space. 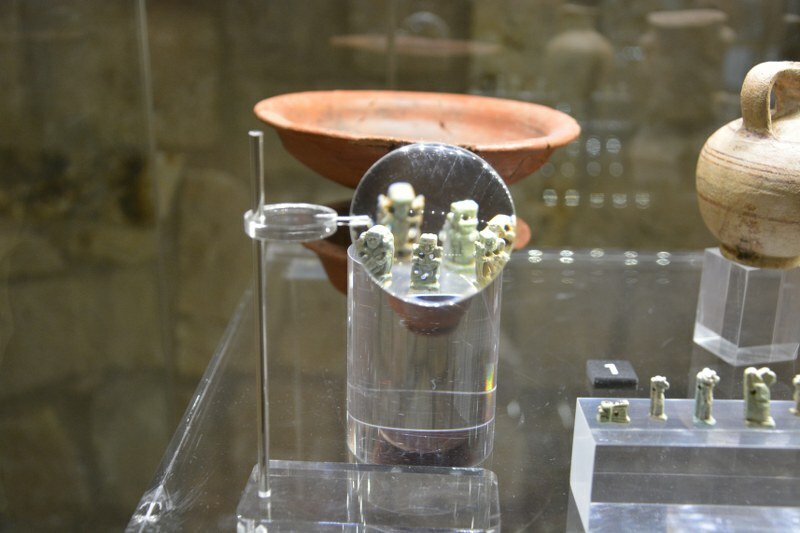 The presence of masks and ‘oscilla’ used to guarantee protection from evil spirits. 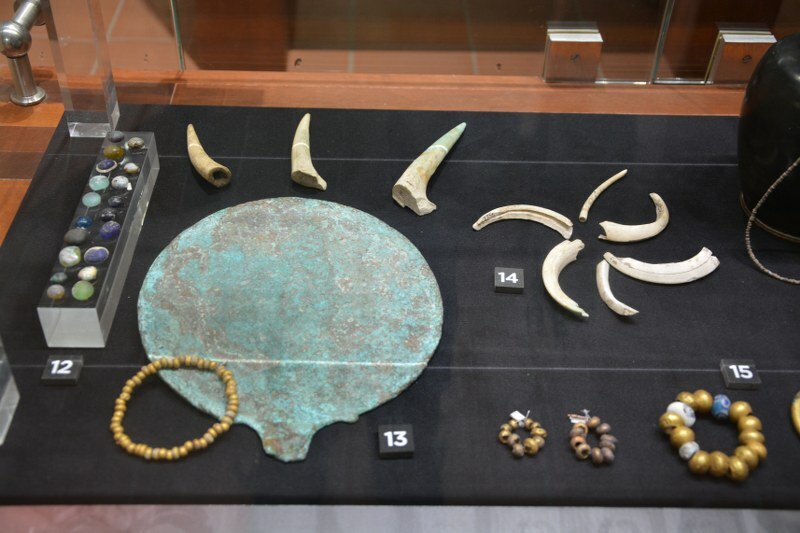 The personal equipment consisted of important items in the life of the departed, mostly they were small ornamental objects sometimes with apotropaic or magic-religious value. 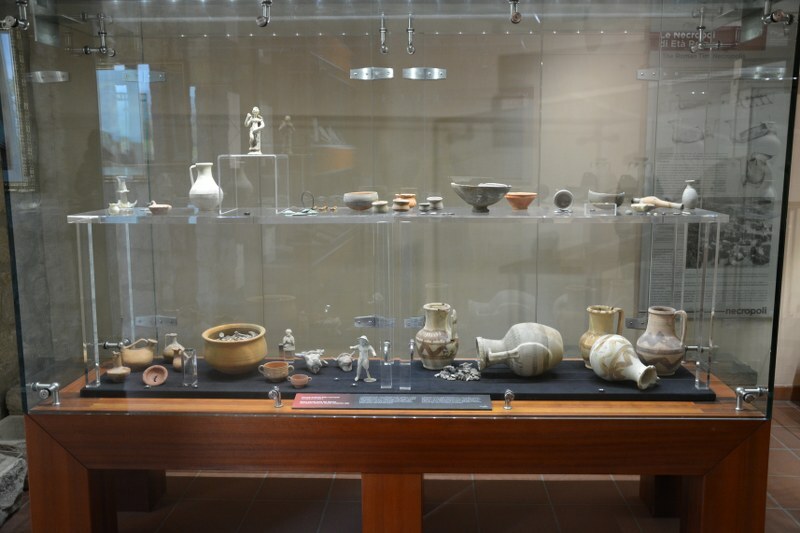 The last section of the room is dedicated to the equipments coming from the Roman age tombs: small statues, cups, miniature pots , gems, epigraphs and funerary urns of various kinds. 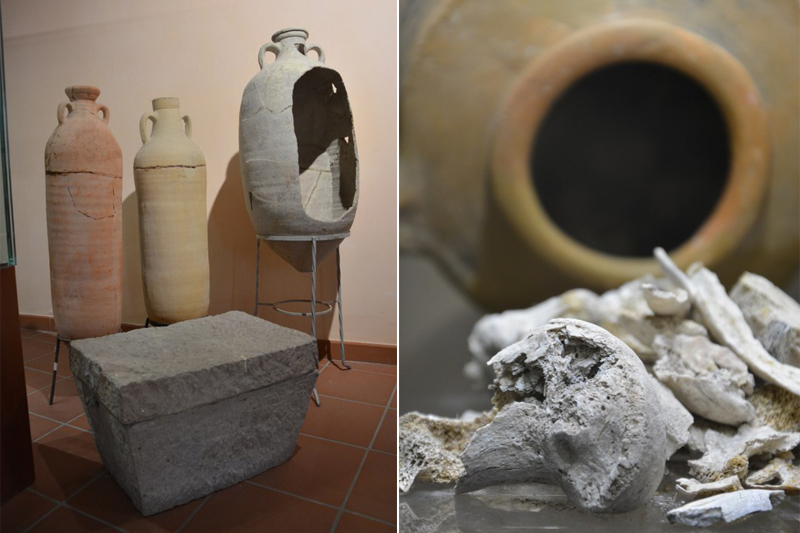 The reconstruction of a tomb at the Capuchin way and the lytic urns, with some Tripolitan amphoras used as burials at ‘enchytrismoi’ (buried in a jar) also offer an example of the different types of tomb in the area of the necropolis of the Imperial Age. 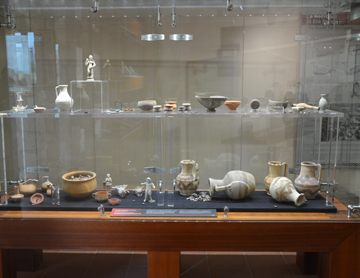 The passage area between the second and the third room is entirely dedicated to the ‘Lai’s collection’, consisting of amulets, gems of rock crystal and of glass of extraordinary craftsmanship, there are also many bracelets, rings, fibulas, bronze and silver bells; between all of these objects particularly valuable is an edge of a fine silver cup with the writing, among other important information,of the Punic name of the city, ‘Sulky’.